What Should You Expect From a Debt Settlement Program? Trying to decide if you should enroll in a Debt Settlement Program? 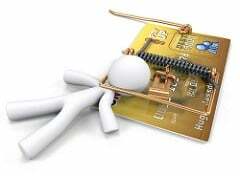 Debt Settlement is an option that few people know about. Did you know that given the right circumstances, most lenders will eventually accept an amount that much less than the full amount to clear an old account from their books! Now, although I've been helping people settle debts such as these for many years, and know that it can really help, not everyone should enroll in a debt settlement program. Let say you find yourself with $10,000, $20,000, $30,000 or more of unsecured debts and although you are making the minimum payments each month, you are just not seeing the balances reduced due to high interest rates and fees, a DEBT MANAGEMENT PROGRAM may be (notice..."may be") what you need. Each of your creditors agrees to lower the interest rate and in many cases stop or forgive late or over the limit fees. You will make one payment that is about the same (and sometimes a little more) to the company and they will pay each of your creditors according to the agreements. This type of program usually take about 48 months and according to the Fair Isaac Corporation (FICO), being enrolled in a debt management program is NOT a factor in determining your credit score. But, what if you have a considerable amount of unsecured debt and are just not able to keep up with the minimum payments and cannot afford the required payment of a Debt Management Program? Many people will seek the help of a bankruptcy attorney, but that is not always the best option. Yes, bankruptcy is a viable option, but in my opinion, should only be used when you have exhausted every other option! So, how does a Debt Settlement Program work? Instead of making any payments to your creditors, you will set aside an amount of money (your budget will allow) into a Settlement Account with an FDIC insured bank. Of course, since you are not making monthly payments to your original creditors, they will eventually be turned over to a debt collection company. Negotiations will begin and a settlement agreement will be arranged. This agreement MUST be in writing and no payments should or will be made without it! Most debt collectors will be open to a settlement. So, what should you look for in a Debt Settlement Company? A+ rateing and accredited with the Better Business Bureau? Does this company have a lot of complaints? If so, BEWARE! Does the agent really listen, ask a lot of questions to determine what type of help you really need? Or, does it seem like you are trying to be pressured into signing up right away? Oh, and by-the-way, the counsultations should all be FREE! Are there referrals or testimonials from formet clients? What about seeing some actural settlements? Dealing with the stress of a financial hardship requires information and help. A qualified Debt Settlement Company may be just what you need, but you need to do a little homework first! When you contact the Debt Settlement Company (DSC), do you fee like they are more interested in getting you to sign up or do they take the time to do a complete analysis of your particular financial situation? If so, be careful. Read on to learn what to look for in the Best Debt Settlement Companies. Is is secured or unsecured? How did you get too much debt or behind on your debt? What is your monthly budget? In other words, how much to do bring home and how much do you pay out each month. VERY IMPORTANT! If you are retired, is your retirement income (pension, retirement fund, social security) deposited seperately and NOT CO-MINGLED with other income you might earn from another job. This is critically important! Click HERE for a FREE Debt Settlement Consultation! #2 The best debt settlement companies will assign you a counselor or account representative that you can always contact with any question or concerns. If you feel like you are getting "shuffled from one person to another", be wary! #3 The best debt settlement companies charge fees that are consistent with the industry and comply with their particular states laws or guidelines. #4 The best debt settlement companies will rate very high with their local Better Business Bureau (BBB). It is not necessary for them to be accredited with the BBB, but make sure to check out any complaints or issues this company may have had. The best debt settlement companies should have an A rating or higher! #5 Finally, the best debt settlement companies will follow through with you after you have requested information and or a financial analysis. If you have to call them back or feel like they are "too busy" to help you,...keep looking! #1 Do they have a good rating with the Better Business Bureau? Look for companies that have a Better Business Bureau (BBB) rating of B+ or higher. It takes a lot of work for a company to receive and maintain a high rating with the BBB. Watch out for complaints and DO NOT DEAL with a Debt Settlement company that has a long list of complaints! Don't worry about accreditation. The BBB is a network of private companies that make money rating companies. They offer an "accreditation" to companies for a large annual fee in order to make more money. whether or not a company is accredited is not the issue. #2 Can you call the Debt Settlement company and talk to someone? When you call in to a good Debt Settlement Company, you should be able to talk to a live person that will listen to you and work with you to find the best solution possible. Are they listening to you or are they just trying to talk you into what they are offering? A quality company seeks to find the right solution for your specific needs and debt settlement is not always the best fit! #3 Does the Debt Settlement company's website give you plenty of information that without forcing you to "complete the form"? Quality Debt Settlement Companies will provide a lot of information...FOR FREE, without enrolling in their program. Look for a company website that is informative, educational, and easy to understand. You should be able to know what the company is about and what they have to offer before you give out your contact information. to talk to one of our Debt Solutions Specialists. Whether you ae a shopping addict or use your credit cards to pay your bills, there may come a time when you need help to help organize your bills, repay your debt, and improve your finances. For some, Debt Relief is the answer. But before you jump in head first, it's time for a course in Debt Relief 101. When Should You Use a Debt Relief Company? Debt Relief companies combine all of your debts into one payment, with the purpose of simplifying your repayment schedule and lowering your overall monthly payment amount. A Debt Relief company may be able to help you pay off your debt more quickly and alleviate some of the stress associated with paying bills. If you have mounting unsecured debt (e.g., credit card bills, store cards, medical bills, personal loans, collections, etc. 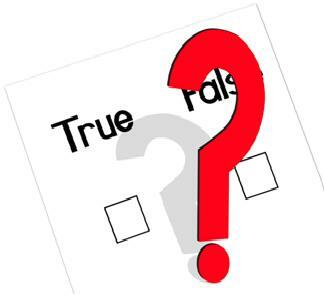 ), working with a trusted Debt Relief company is something to consider. What Types of Debt Relief Plans are Available? A good Debt Relief company can help you choose the best plan for your financial situation based on your income level, type of debt, and ability to make consistent payments. Debt Consolidation Program - This program consolidates your unsecured debt into a single monthly payment. The debt consolidation company then distributes the designated funds to your creditors. They work directly with your creditors to reduce interest rates, eliminate late and over-the-limit fees, and reduced monthly payments. Debt Settlement Program - This plan helps people who can't repay their debt in full and are facing bankruptcy. with a Debt Settlement program, your Debt Relief company will work with your creditors to settle your accounts for a portion of the amount owed. Are all Debt Relief companies the same? No! Just as each person's financial situation is unique, so are Debt Relief companies. You need to find a company that offers various plans and has specialists to guide you to the right program based on your needs. Are There Bad Debt Relief Companies? Don't enroll in a program with a company that hasn't reviewed your financial situation. Don't be lured by companies promising government money to erase your debt. There are no government programs that do this. Check out each company's Better Business Bureau report, and only work with a company that has an A or A+ rating. Debt Relief plans work most effectively when you choose a reputable and accredited company, stick to the plan and, ultimately, address how you got yourself into debt in the first place. Our Solutions Specialist can help guide you through the proccess of chosing the right program for you. 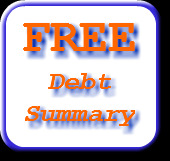 If you would like more information, give us a call or request your FREE DEBT RELIEF SUMMARY below! Looking for a reputable Debt Settlement Company? Years ago, there was a lot of so-called Debt Settlement Companies that started. They offered big promises, but delivered poor results. Most of them were nothing more than "get-rich-quick" or "fly-by-night" outfits that took advantage of many people. The Attorneys General's office of most states were flooded with complaints and took action, levying severe fines against many causing them to shut down. If you find a company that hasn't been around for more than 5 years...you should keep looking! 2) WHAT KIND OF TRACK RECORD DO THEY HAVE WITH THE ATTORNEY GENERAL OF YOUR STATE? This is easy to find out, just goggle your state's attorney general or the consumer protection division of your state. You will be able to find a list of registered Debt Settlement Companies for states that require registration, and you will find complaints and or fines that have been levied against fraudulent companies. 3) WHAT KIND OF BETTER BUSINESS BUREAU GRADE DO THEY HAVE? About a year ago, the Better Business Bureau (BBB) lowered all Debt Settlement or Debt Management Companies rating due to all of the fraud and legal action that had been taken by the states and federal government. You may not know this, but the BBB is an independent business entity and NOT associated with he government or credit bureaus in any way. Some Debt Settlement Companies are "accredited" and other opt not to seek the BBB's accreditation. Accreditation means the Debt Settlement Company has paid a large fee (and continuing annual fees) to have this "tag". The real test of a companies rating is the complaints and resolution of those complaints that the BBB records. Be aware of companies with too many complaints...something is wrong! To see our BBB rating and report, CLICK HERE. 4) WHEN YOU CONTACT THE COMPANY, DO THEY TRY TO "SIGN YOU UP" ON THE FIRST CALL? There's nothing wrong with a company trying to make money helping people solve their debt problems, but BE AWARE of a company or representative who is too agressive! In order to do a professional, thorough job, they need to take the time and have the patience to find out all about you and your paticular circumstances. A few outstanding companies offer more programs or services than just Debt Settlement or Debt Management. You might think twice if a company who only offers Debt Settlement speaks negative about Debt Management Programs and vice-versa! 5) HOW PERSONABLE OR PLEASANT IS THE REPRESENTAVIE? If you get a bad feeling about the rep, KEEP LOOKING! Professionally trained and experienced Debt Settlement Representatives are PATIENT AND ASK A LOT OF GOOD QUESTIONS. The company does not have to be local to be one of the best, but on the other hand, if you feel they have out-sourced their services to an overseas company, I'd be a skeptical. If you call back, will you be speaking with the same rep? Bottom line...you need to have a good feeling about the rep and company or keep looking!